I woke up this morning and realised my dreams are getting weirder and weirder. Dreams, what are they ? Emanations of what transpired during the day or pure creation of unchained brains ? Let us hope nobody will ever know for sure. Dreams of dark places, heat, of purple smoke, a setting sun in the desert while you run endlessly towards the horizon. Falling from a tiny platform in a gigantic sky filled with concerned thinking clouds. 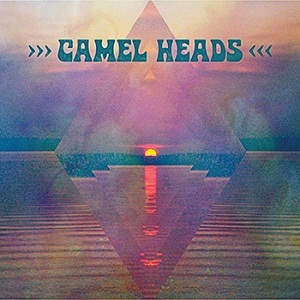 Slow yet short, this album from the Camel Heads builds up a dreamy atmosphere and gives the listener cheap travel means : closed eyelids. Longing guitars and an omnipresent bass, as quoted on their Bandcamp page "Camel Heads sounds like a series of slow buildups for epic stoner jams".